It was a British novelist from long ago who wrote, "To inspire hopeless passion is my destiny," but it seems William Makepeace Thackery could have been writing about Joe Eichler. 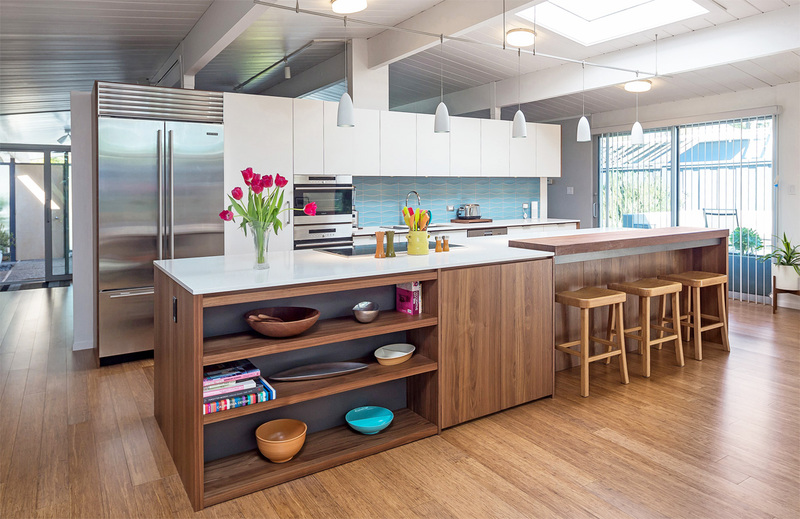 All the proof you would need of the writer's prescience will be on display Saturday May 4 at the 'Eichler Inspired Home Tour,' which aims to showcase five Eichler homes in Palo Alto and Sunnyvale. 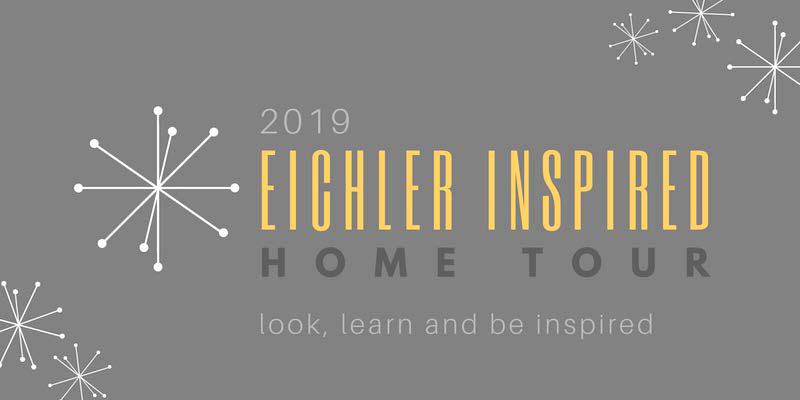 A bargain among home tours at $8 a ticket, the home improvement-focused event features four Palo Alto Eichlers remodeled by general contractors Keycon, Inc. and one in Sunnyvale presented by the Erdal Swartz Team of realtors. Both are co-sponsors of the tour along with Klopf Architecture. The three companies are donating 100 percent of their ticket proceeds to support Habitat for Humanity. The proud, passionate ownership that Eichler has inspired at these five homes is evident not just in the houses themselves, but in the stories the owners tell in the tour brochure. 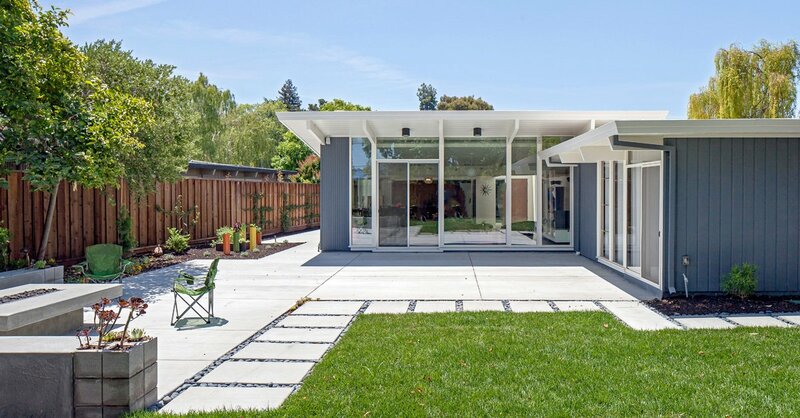 "We cannot imagine living in Silicon Valley in anything else than an Eichler home. It is a dream come true for our family," gush Przemyslaw and Aleksandra Karwasieka about their Sheraton Drive home in Sunnyvale, remodeled with help from the Erdals and architect/fellow Eichler resident Sophia Ostoya. 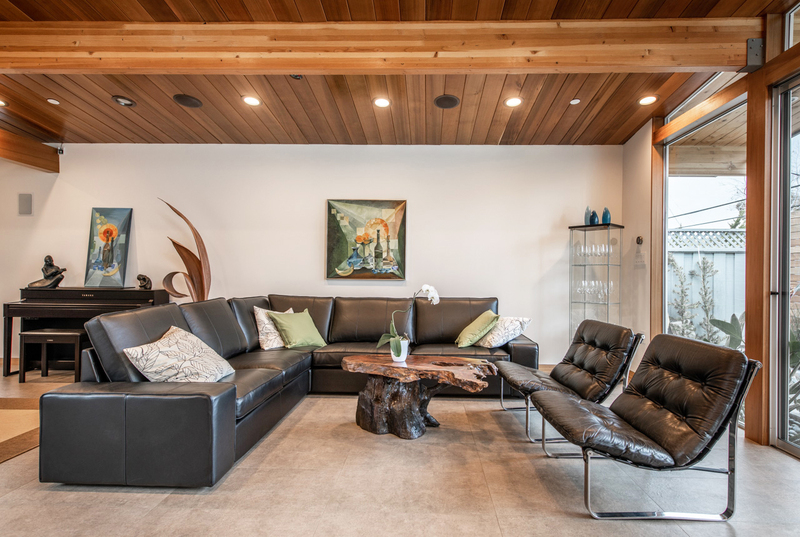 The couple adds, "Our favorite features of the home are the open atrium with greenery, fireplace, and water wall…"
The Karwasiekas may treasure their fireplace, but Ron Key of Keycon finds that to be a somewhat dwindling opinion among his Eichler customers. "We've been removing a lot of fireplaces," the contractor commented, including one from a 1958 Palo Alto Eichler on the tour belonging to Mark Hastings and Tom Longo. Referring in part to local air district regulations, Key explained, fireplaces "take up so much footprint, plus you can't actually use them a good part of the year." "We've actually done two remodels with Keycon," noted Hastings of his Eichler on Kenneth Drive. "The first, in 2010, was triggered by a water leak that caused damage to carpeting in the master bedroom.